The kitchen becomes a system” – Arrital AK 05 Kitchen Collection. The veneered doors in the Ak_05 system are available with 30° sloped edges: a characteristic offering personality to this composition. This solution combined with the flat groove and similarly finished plinth, ensures a sense of refined consistency and an elegant visual impact. Arrital modules allow dynamic and consistent living space design. 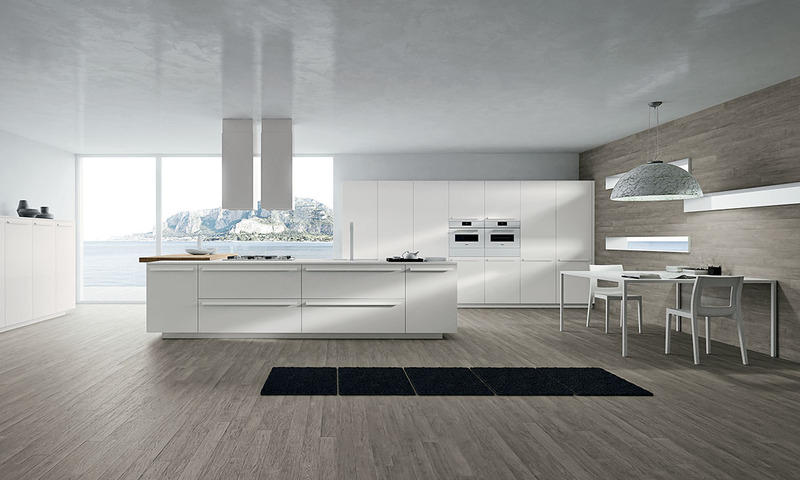 The possibility to create living solutions that recall the styles and finishes of the kitchen, develops a permanent link between the different home interiors, accentuating uniformity and simplicity of style. The Ak_05 system features five types of door openings, including the use of a patented modular handle. Painted in the same colour as the door and featuring a 45° slope, the handle also allows the inside of the compartment to be cleaned thanks to the disappearing hook, which conceals the screws. You must be <a href="https://lussocucine.nyc/wp-login.php?redirect_to=https%3A%2F%2Flussocucine.nyc%2Fnews%2Farrital-ak-05-collection%2F">logged in</a> to post a comment.